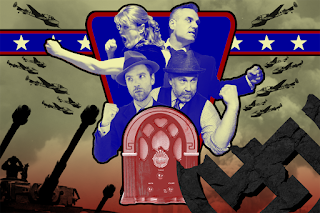 Cherry and Spoon: Minnesota Fringe Festival 2018: "The Mysterious Old Radio Listening Society"
Minnesota Fringe Festival 2018: "The Mysterious Old Radio Listening Society"
Summary: A live reenactment of two radio plays from the '40s and '50s, both involving the good guys defeating the Nazis. Highlights: If you saw the show last year, it's much of the same, and that's a good thing. This show is best enjoyed with eyes closed so that you can simulate the experience of listening to it gathered around the radio on a day long past. Except that it's hard not to open your eyes and see how the four-person cast is making all those sound effects, standing in front of old timey microphones with odds and ends around them. They're also able to create what sounds like way more than four voices as the play all the characters, good guys and bad. For these stories are from an era when good guys and bad guys were easy to distinguish. 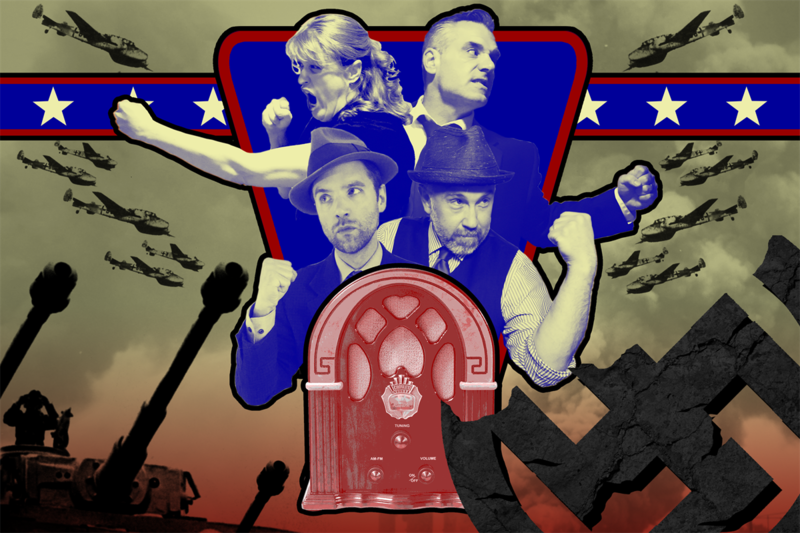 Two thirty-minute actual historical radio dramas are read in their entirety, preceded by a bit of context, and it's fun to imagine a time when dramas like this were the only source of entertainment, before TV and video games and the internet. It's good old-fashioned spine-tingling fun!